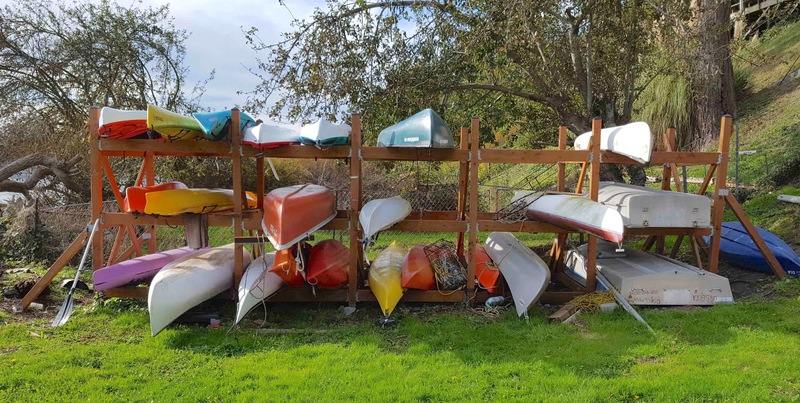 BOAT STORAGE RACK: Located at the west end of Rose Marie’s Park is a boat storage rack used to store IBIC members’ small boats, kayaks and canoes. New Boat Storage Rack Rules were approved in 2016 and are found on the right sidebar of this page. Use of the boat storage rack now includes the basic requirements that all boat owners; 1) must be members of the IBIC; 2) must register their boat; and 3) must have an assigned space on the boat rack, among other rules. Boaters, please read the rules in their entirety. Click on the form below, print out and mail in. Please read the boat rack rules below for ALL rules, limitations and deadlines. Follow the instructions in the PDF below for placing your hull sticker on your boat.